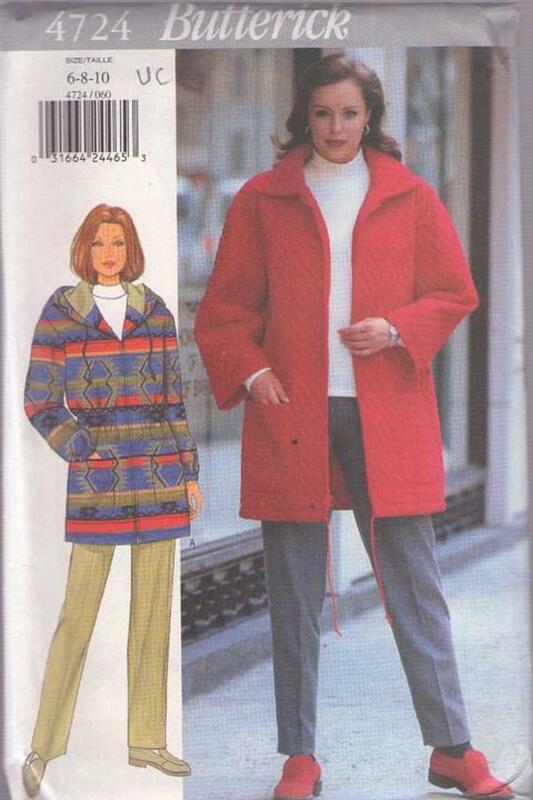 1996, 90s Outerwear, Retro Winter Clothing Patterns - Very loose fitting, lined, below hip jacket has dropped shoulders, pockets, front zipper, stitched hems and long sleeves. A: drawstring hood with contrast lining, blouson elastic waist and sleeves with elastic. B: Collar and drawstring at lower edge. Tapered pants have waistband and back zipper.